Regardless of when you visit, local producers recommend you call for availability before you go. Don’t want to cut down a tree yourself? 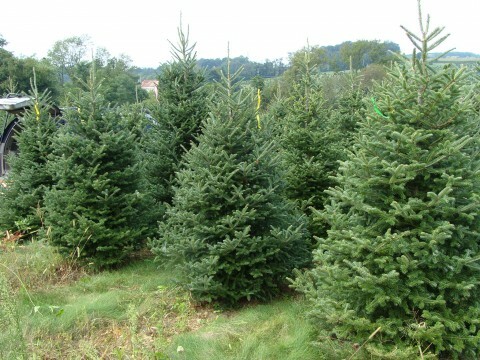 Many farms offer pre-cut trees. Once you have picked your favorite tree, farmers like the Pennycuffs use their “tree dancer” to shake loose needles. They also bale and help load your tree for a stress-free ride home. Calling ahead to make sure you bring the right tools, including straps to secure your tree, is always recommended. Be sure to visit www.PickTNProducts.org or use the free Pick Tennessee mobile app to find a local Christmas tree farm near you. Follow “PickTNProducts” on Facebook, Twitter, and Instagram to learn more about local activities, seasonal recipes, and products.